Each practice test contains a complete Listening test, Reading test, Writing test and Speaking test – equal to about 30 hours of IELTS test time. All the different IELTS question types are included. All answers for the Listening and Reading tests are of course included as well as model answers for all the Writing and Speaking questions. All audios are included for the Listening and Speaking tests and all transcripts for both. 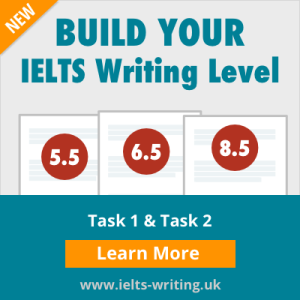 This pack includes ‘TEST TECHNIQUES for IELTS’ which contains the most effective techniques and tips you can use to improve your test performance. Please note that all our customer reviews are genuine and used with the permission of each person. “Excellent training material. Exactly as per the actual exam material. I am a happy buyer. “Good tests. Easy download and print. No problems. “I’m right in the middle with the preparation for the test and very happy that I found something so effective. This tests is excellent, much better than my expectations. The price I paid for the tests is very reasonable compare to courses I was attending. I recommend this trainings to everybody who wants to be successful on IELTS certification. “Does an excellent job. Got my practice tests in minutes and started to prepare. Very convenient and very cheap! “Great product, great price, you guys rock!